You know those days when you’re just craving something warm and comforting for breakfast? 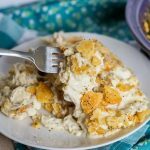 When you think “forget healthy, I just want something yummy”… this Instant Pot French Toast Casserole is it. 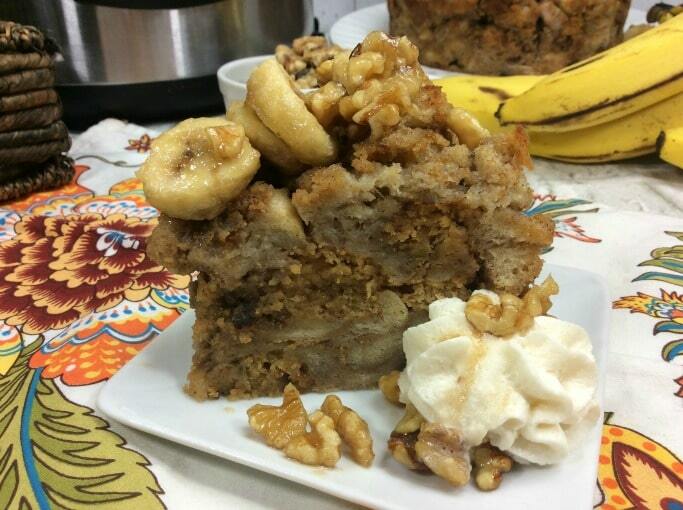 It’s like banana bread, but a little richer and more decadent… but not quite a dessert. Does that make sense? If it sounds good to you, let’s get to the recipe so you can make it yourself. 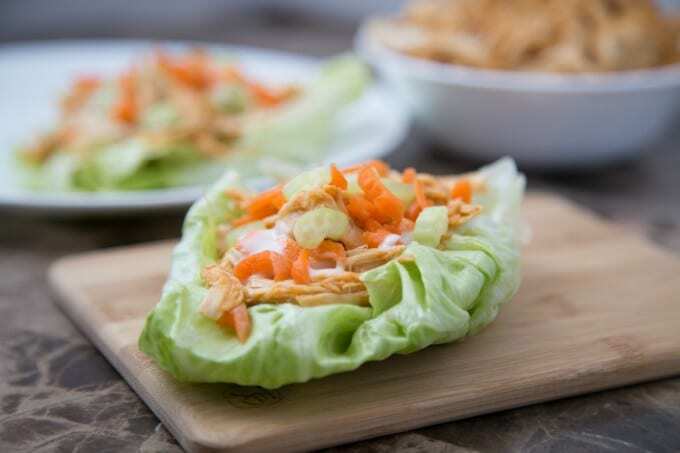 Okay, so before you skip down to the recipe and freak out about the number of steps… hear me out. 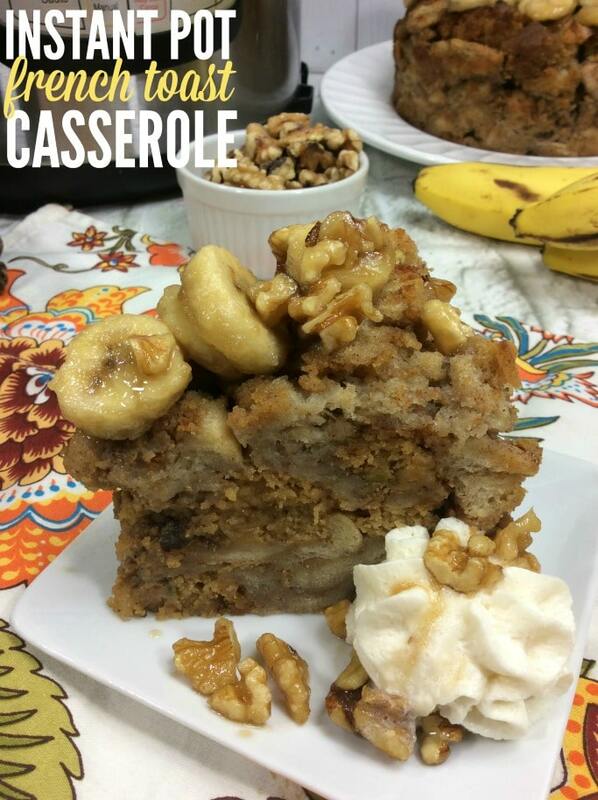 This is really easy to make; it just involves cutting up the bread and bananas and layering the ingredients. There… that’s not so hard, is it? It’s your basic casserole. 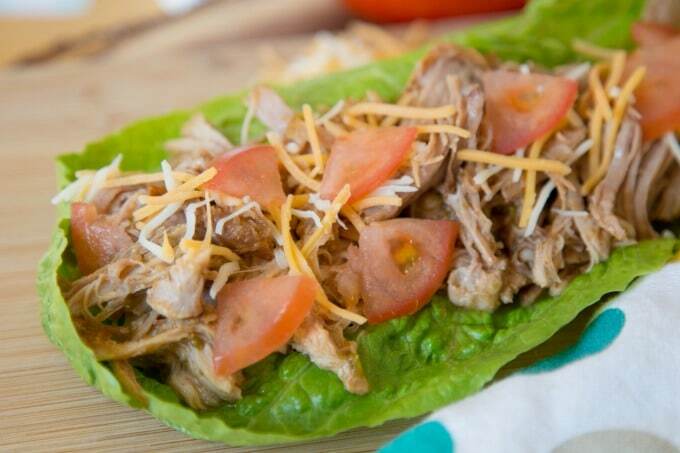 So, make it in the Instant Pot or in the oven… your choice. If you want to bake it, try it at 350 degrees for about 30 minutes, and see if it’s to your liking there. You may need a little more time. But here are the directions for the pressure cooker. You’ll need a trivet for the Instant Pot (yours should have come with one) as well as a small round casserole dish like this 7-cup Pyrex bowl. Enjoy a sweet breakfast made in the Instant Pot! This Instant Pot Banana Walnut French Toast is a hot breakfast the whole family will love. Slice french bread into cubes. 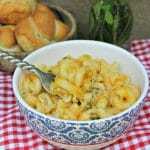 Place in large bowl, and set aside. Spray a small round baking dish with non-stick baking spray, and set aside. Cube French bread, and slice the bananas. Beat cream cheese, maple extract, half the brown sugar and half the granulated sugar together on medium speed for 1 minute or until creamy enough to spread. 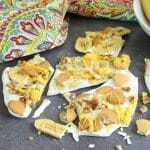 Layer bread, then banana slices, cream cheese mixture, bread and bananas, in that order. Place sliced butter on the top banana layer. Mix eggs, milk, cinnamon, vanilla and remaining brown and granulated sugar in a mixing bowl. Pour egg mixture over bread and banana layers. Add 1/2 cup water to the Instant Pot, and add the trivet. Place baking dish in pot on top of trivet. Place the lid on the pot and make sure the release valve is in the “sealing” position. Set to HIGH PRESSURE for 25 minutes. Once the 25 minutes is up, turn the steam release valve to "venting." Let sit for 10 minutes to allow ingredients to settle and firm up. Place a large plate over the baking dish, and carefully flip it over. Lift the baking dish away from the French toast. Let sit for another 5 minutes. The remaining steps are OPTIONAL if you'd like the caramelized banana garnish. In a small saute pan, cook sliced bananas, walnuts and maple syrup over medium heat. Stir often, making sure not to burn. 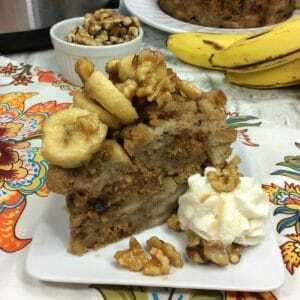 Top French toast with sauted bananas, walnuts and maple syrup. Adding the caramelized bananas at the end is totally optional. If you don’t want to bother with it, it’s still very tasty without it. They just add a little more sweetness and visual appeal. This Instant Pot French Toast Casserole is a great recipe to serve to company. 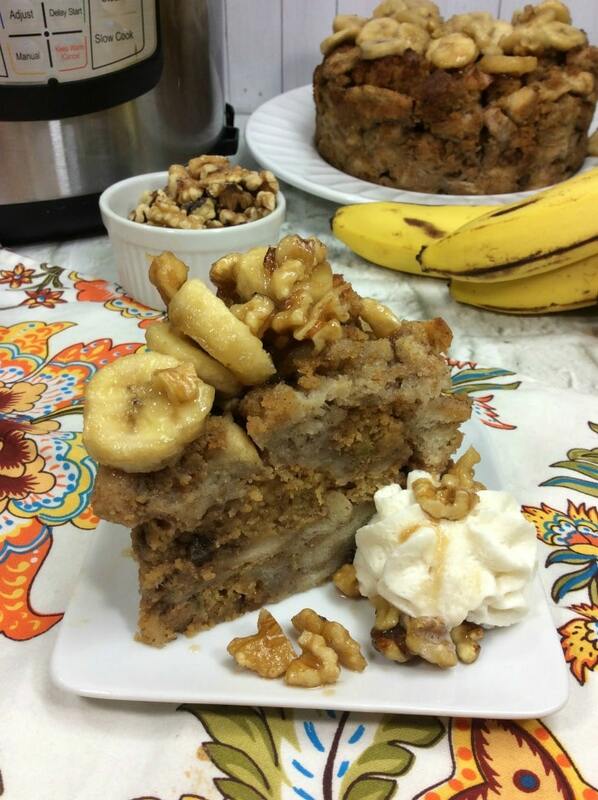 If you like banana walnut oatmeal or banana nut bread, this is just as good.